A dark, magical forest is the backdrop for a story of perseverance and family as Mari, a young woman, wanders into the woods to find a pack of wolves and save her brother. Wolf’s Beard – a collaborative fairytale from author Siri Undlin and Eau Claire native illustrator Serena Wagner – has all the trappings of classic fairy stories with a modern freshness that could only come from a creative soul all too familiar with the mysteries and thrills of wooded adventures. Undlin – who writes radiant, earthy folk songs for her project Humbird – has had a lifelong fondness for fairytales, and her fruitful collaboration with Wagner has spawned a new independent book press called Grimm Sister Press. “Siri’s curious writing style is captivating in a very familiar, folkloric way, so when she approached me to collaborate I really wanted to capture that voice within the illustrations,” Wagner said. “While women’s creative work – and queer creative work – sometimes gets valued as lesser than, it’s empowering to work with individuals like Siri and create something truly unique.” Both women are substantial creative forces in spheres like music, visual art, and literature. 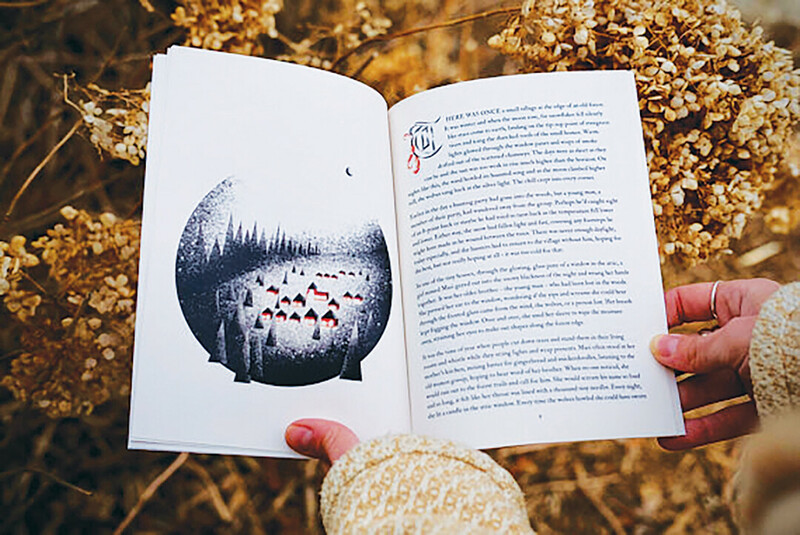 We recently caught up with Undlin to talk about Wolf’s Beard, her publishing aspirations, creating fantastical worlds, and doing it on her own terms. Volume One: So let’s talk about your inspiration first. You mentioned that you’d had this habit earlier in life of writing fairy tales? That sounds fun. What’s your history with that? Siri Undlin: I think, like a lot of little kids, I was constantly making up stories and playing make believe while growing up. I have three younger siblings and I credit them for fueling that process – we were so into building characters and imaginary worlds as we romped around the woods in northern Minnesota. There’s a lot of magic in those memories. Would you say this story is an extension of that? What made this one special to the point you wanted to publish? This story is definitely built on that foundation, yeah. I’ve got an embarrassingly large Dropbox folder of more fairytales, but Wolf’s Beard and the story of Mari adventuring into the woods just seemed like the right place to start. There’s a cyclical nature to the story and a goofiness – I don’t know that it’s more special than any of the others – I just have a hunch that people will like it. What kind of themes are at play in the story? What do you find most fascinating about it? I first heard a version of this story while living in Scotland and I was drawn to the way in which the bones of the story combined familiar archetypes of monsters, forest adventures, and an unexpected ending. One of the most fascinating aspects of fairytales and folklore, in my opinion, is that they are always changing. Depending on who is telling the story, it can feel or even be completely different. I’ve heard versions of this story told in ways that explore a relationship between a husband and wife, or between lovers, but the way I tell it is between siblings instead – a totally different dynamic that rang true to me as I sat with it and learned to tell it over time. What was the writing/illustrating process like? How did it all come together? I’d been kicking around the idea for a while, but hadn’t really put much muscle behind it until I saw some of Serena’s artwork. The pieces seemed to fall into place from there. It was really cool to watch it develop in such an organic way – and surprising too. The best part of collaborating with someone like Serena is seeing a project come to life in a way that is so much better than I could have imagined on my own. How does your music play a role in your other creative endeavors? Does it? Do you try to keep those worlds separate or do they inform each other? While the “end product” looks a different, there isn’t a whole lot of separation for me between writing fairytales and writing songs. A lot of the lyrics in my songs are also related, responding, or retelling fairytales or folk stories if you listen closely. A song should tell a story. A story should wrap around you like music, you know? What do you have planned next? More stories like this? More collaborations? What does the future look like for Grimm Sister? Based on how inspiring and rejuvenating this process has been, I think there will be plenty more stories and collaborations to come. I have no idea what the future looks like, but I hope it smells like pine trees. 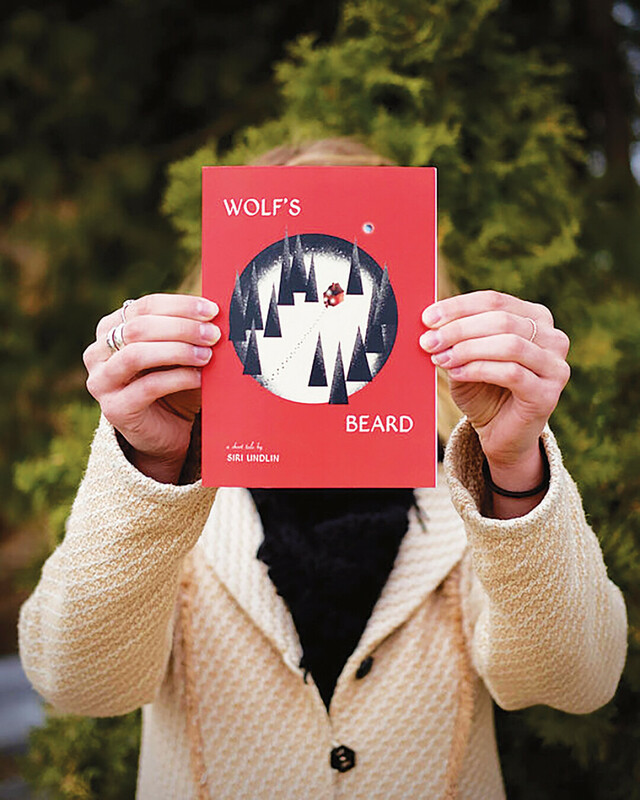 Undlin and Wagner are hosting a release party for Wolf’s Beard in Eau Claire at 8pm on Saturday, May 26, at Red’s Mercantile. Humbird will perform as well as Her Crooked Heart and Hayley Sabella. To learn more and purchase a copy of Wolf’s Beard, check out www.grimmsisterpress.com.